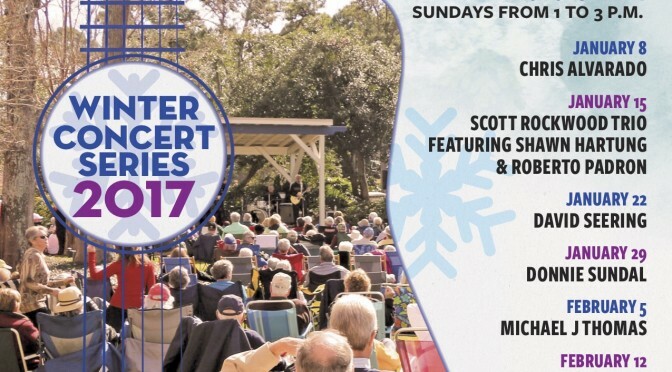 Join the Northwest Florida Coast Chapter of the Florida Public Relations Association will host Prosecco, Pints & Pics on Tuesday, June 27 from 5:30 – 7:30 p.m. in The Market Shops Gazebo Courtyard. 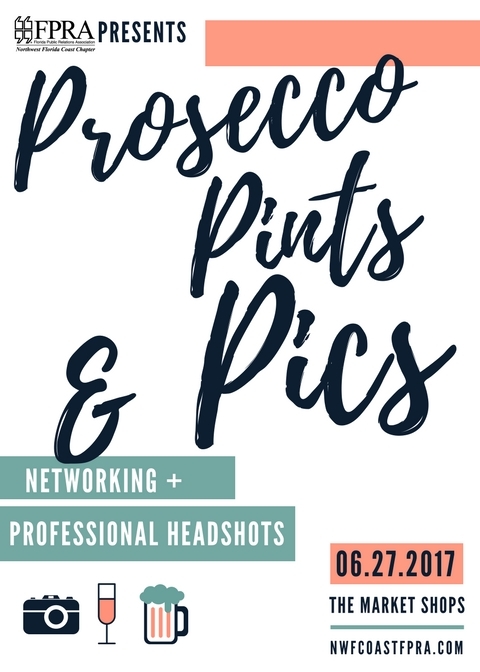 Join us to sip prosecco, enjoy cold pints, and receive a professional headshot while networking with local industry pros! This event is going on in tandem with our June 27 Pop & Shop with Luke Langford & 331 South. Cost to attend is free for FPRA members and $25 for prospective members. All guests are asked to REGISTER in advance. 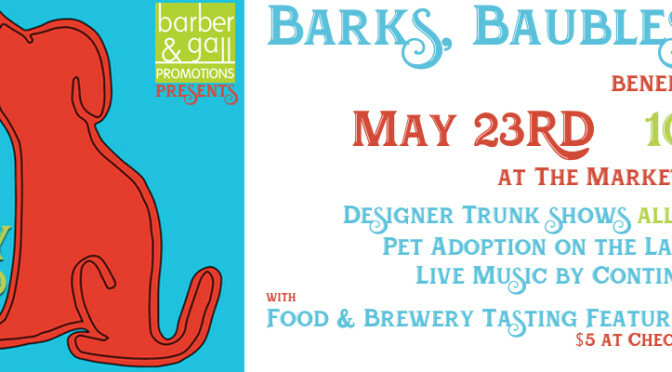 Mark your calendars for Barks, Baubles & Brews, benefiting Alaqua Animal Refuge! 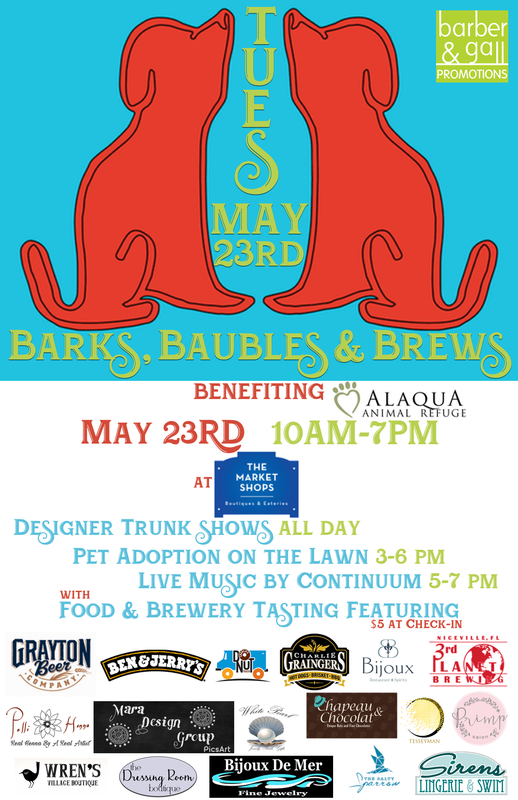 Taking place on May 23 from 10 a.m. to 7 p.m., the furry friend fundraiser will include all-day designer trunk shows atChapeau & Chocolat, The Dressing Room Boutique, Sirens at the Beach,Wren’s Village Boutique, with 20% of all sales going back to the local, no-kill shelter. 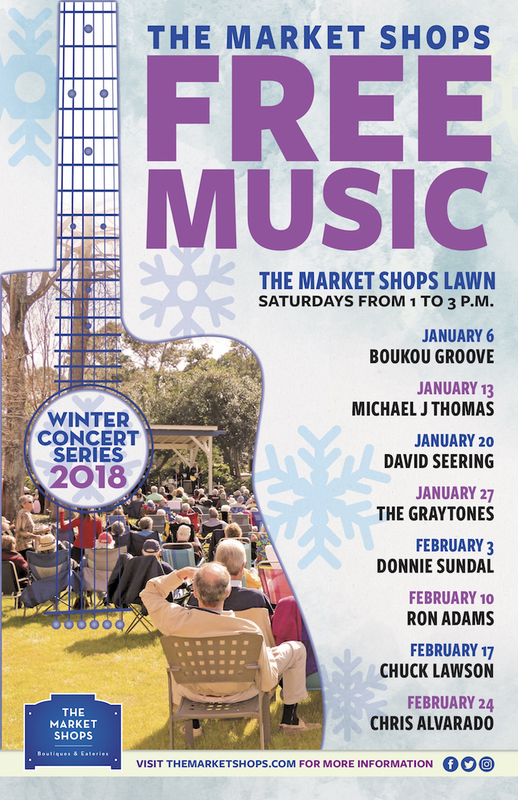 Additionally, Alaqua will be hosting pet adoptions on the lawn from 3-6 p.m. and food and brew tastings from 5-7 p.m.; coinciding with our regularly scheduled Pop & Shop Concert Series with Continuum. 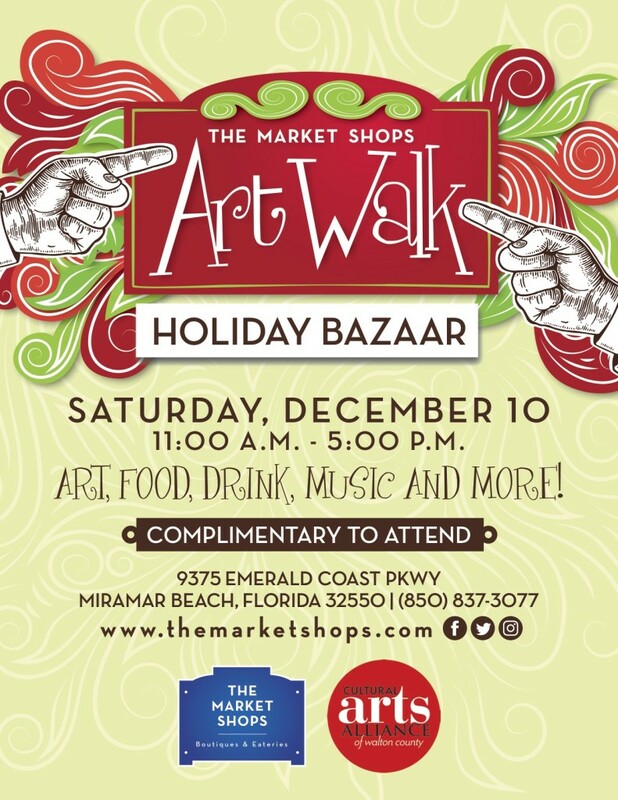 To date, additional sponsors include Grayton Beer Company, Ben & Jerry’s, Charlie’s Donuts, Charlie Graingers, Bijoux Restaurant & Spirits, 3rd Planet Brewing, Polli Henna, Mara Design Group, White Pearl Fine Jewelry, Tesseyman, Primp Salon, Bijoux De Mer and The Salty Sparrow. 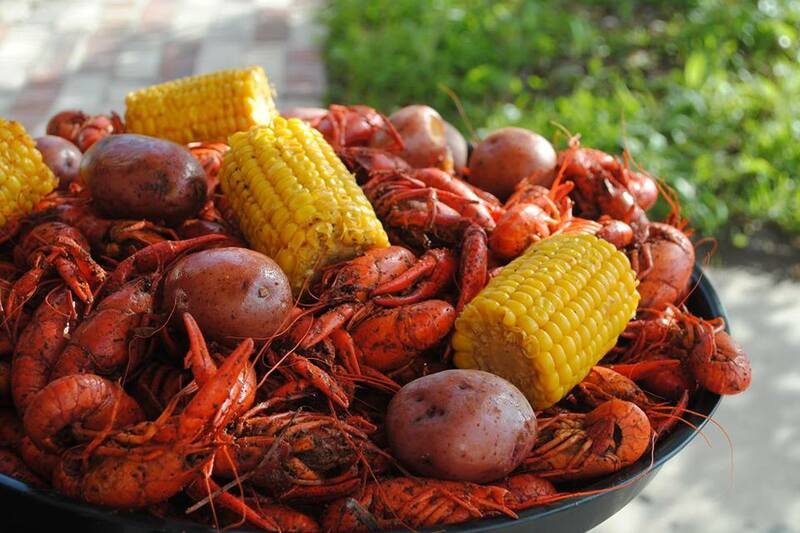 YP at The Beach is excited to bring back our 3rd Annual Crawfish Boil benefiting the Choctawhatchee Basin Alliance on Sunday, April 23rd from12:00 PM to 5:00 PM on the Lawn at The Market Shops. 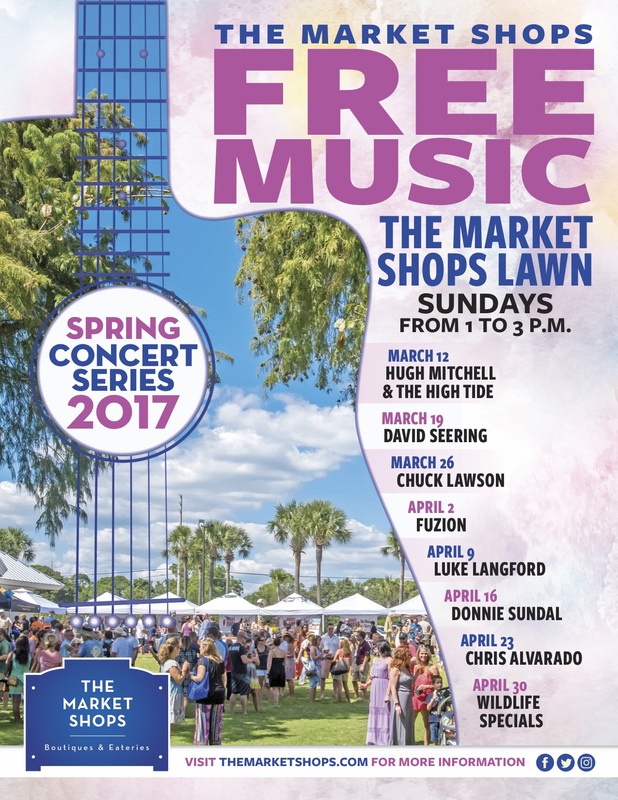 The Market Shops Spring Concert Series. $30 tickets get all you can eat crawfish and fixings until April 16th, then tickets go up to $35! BYO coolers, chairs and blankets. Tickets are on sale now and are limited, so register here ASAP! 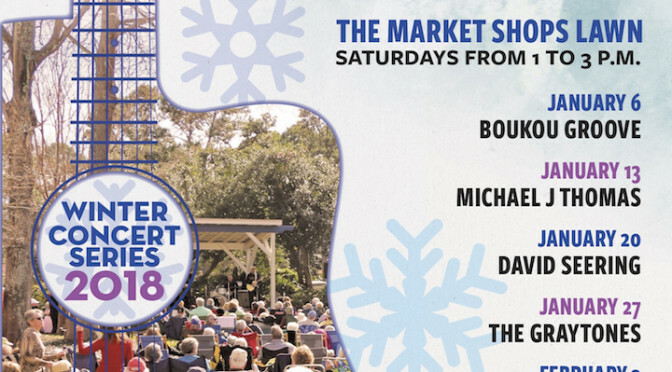 The Market Shops, located at the entrance to Sandestin Golf and Beach Resort, invites the community to “sip, shop and shimmy” to the tunes of local musicians during the local shopping center’s Pop & Shop Concert Series. Beginning March 21, 2017, Pop & Shop will take place throughout the center from 5:00 to 7:00 p.m. 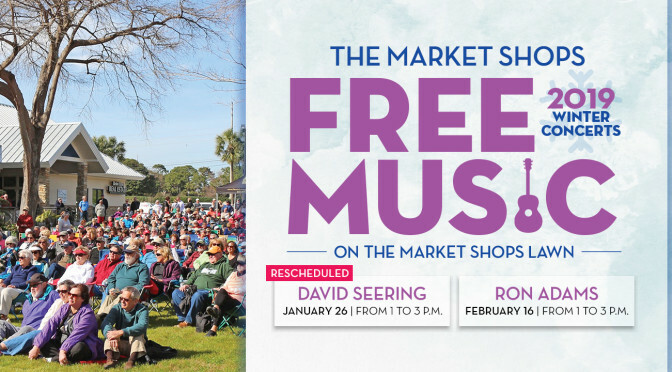 Participating merchants will be offering event specials, giveaways and refreshments for shop-goers. The event is complimentary to attend and was created to help spread the word about the all-local shopping center’s impressive merchant portfolio while showcasing local live music in the Gazebo Courtyard. 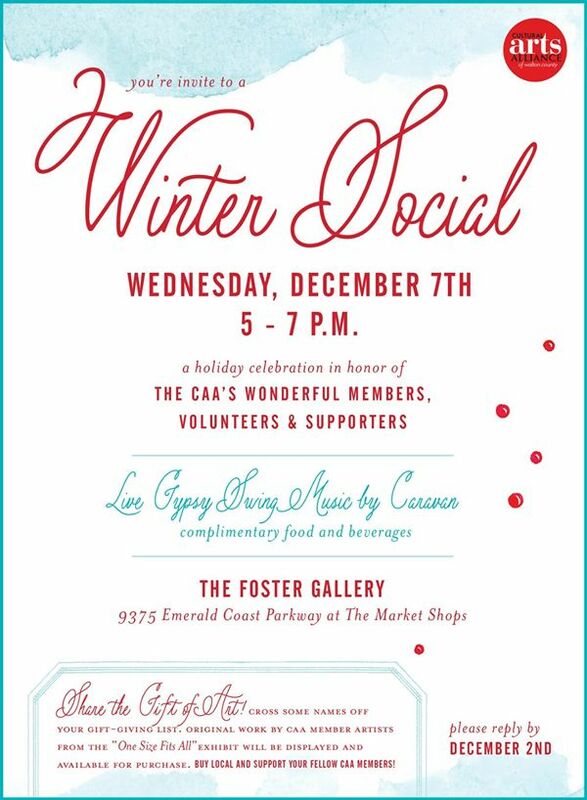 Tuesday’s from 5:00 to 7:00 p.m.
You’re invited to the Cultural Arts Alliance of Walton County‘s Winter Social on Wednesday, December 7, 2016, from 5-7 p.m. at The Foster Gallery. This holiday celebration is being held in honor of the CAA’s members, volunteers and supporters. 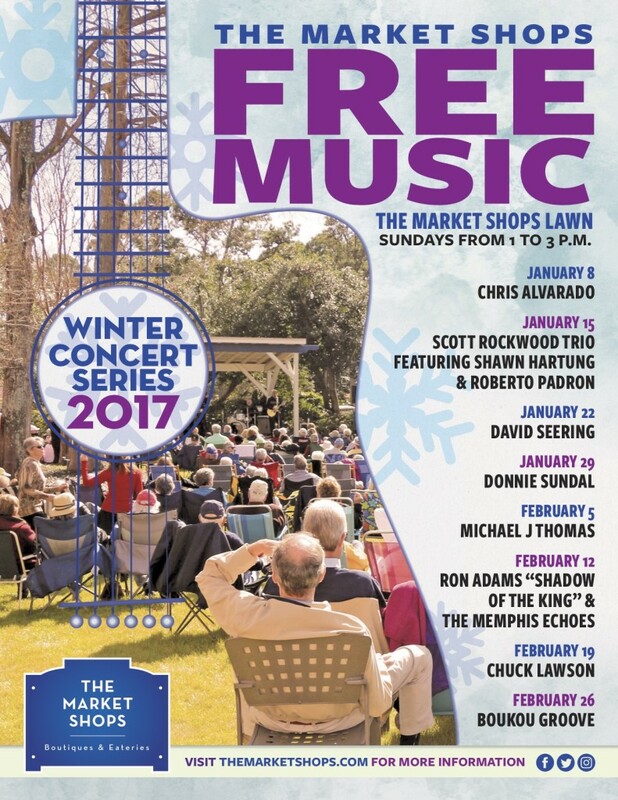 Come enjoy live gypsy swing music by Caravan, complimentary food and beverages. 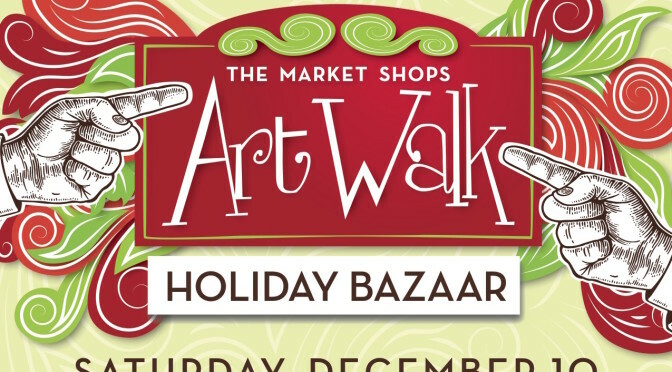 What better time to do some holiday shopping, too? 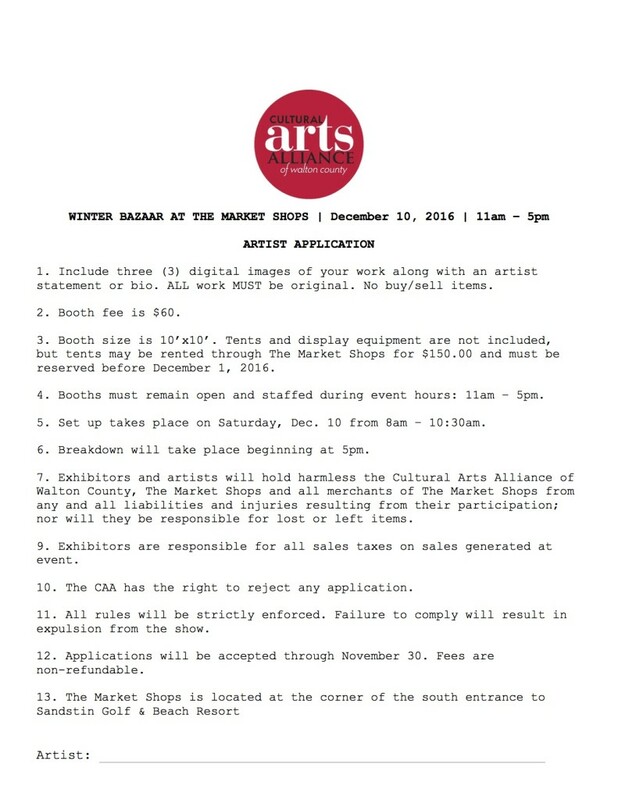 Share the gift of art from the CAA’s member artists “One Size Fits All” exhibit . Buy local!